Ongoing incidences of identity theft in the United States, and around the world, have given birth to a whole new segment of victim support groups. While the police handle the crime report, and banks and credit card companies help victims sort through financial upheaval, specially trained professionals are now needed to help individuals work through the emotional effects of being an ID theft victim. 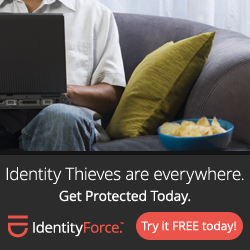 According to statistics from a 2015 study by Javelin Strategy & Research, an identity is stolen every two seconds in the United States. That means that every day, more than 43,000 people fall victim to this seemingly silent crime. The financial concerns and stresses that ID theft victims must deal with are obvious to many of us: fraudulent credit cards or loans in one’s name, or privacy issues due to a stolen social security number. What is less obvious to most people however, is the emotional stress that this crime has on its victims, which seems to take an equally significant toll. Research and surveys taken over recent years now tell us that victims of identity theft, which is usually a non-violent crime, often experience similar emotional and psychological effects that victims of violent crimes report having experienced. ID theft victims can cycle through a range of emotions, sometimes feeling these effects years after the initial crime was committed. Identity theft is an act of betrayal, even when it has been committed by someone that the victim doesn’t know. A recent report has shown that at least 65% of id theft victims have felt strong anger towards the experience. It’s very common for the victim to be angry or enraged, and to cycle back to this feeling as they deal with the continued fallout of situation. To make a bad situation worse, often times neither the victim nor the police know who committed the ID theft, so the victim doesn’t know at whom they should direct their anger. Identity theft is a violation of an individual’s privacy and a breach of trust. They go to bed one night with the feeling that their money, social security number, health insurance, and personal passwords are all secure, and then wake up to find that everything is at risk. Even if they find out how the theft was committed (a stolen wallet or a data breach at a bank), their senses of security, privacy, and trust have all been broken. One victim of identity theft reported that she kept her guard up all the time after the crime, and was often suspicious of other people’s actions. “I feel so exposed all the time”, she said, and explained how she second-guesses the grocery store clerk when he swipes her card more than once. Behavioral changes–like always being on guard and trusting people less than before–can have an impact on the victim’s personality, day-to-day life, and their relationships with the people around them. Some victims even reported that they cut themselves off from family members for years, because they didn’t know if those family members could be trusted. It is a sad but true fact that many crime victims feel embarrassed about what has happened to them. ID theft victims often blame themselves for not being more careful or aware of their surroundings. They feel embarrassed that a thief was able to take advantage of them. It’s common to think, “I can’t believe I was so naive” or “How could I have let this happen”, even if they know that these thoughts are irrational. This type of self-blame is quite common. Most people feel that they could have avoided the issue if they had just done something differently. If the ID theft was committed by a friend or family member, feelings of embarrassment–or even shame–can be much worse. Victims often feel conflicted about how to handle the situation, and many choose to protect the family member by sweeping the theft under the rug. They don’t file a police report or take legal action against the thief, which can result in further psychological and financial stress in the future. Even if the victim has filed a police report, closed out their accounts, and followed all of the best advice, it’s common to feel helpless when their identity has been stolen. Struggling to regain a sense of normalcy and safety in their lives can seem like an ongoing battle. Victims might get calls from creditors and investigators years after the theft, which can lead to a feeling of being victimized all over again. In almost all cases of identity theft, it is up to the victim to prove that they did not incur or approve the debts taken out in their name. Never knowing when the identity theft will suddenly create chaos in their lives, or when they will be required (again) to prove their innocence, makes victims feel powerless. When you consider all of the above emotions, it is easy to see how a usually well-balanced, mentally-stable person would be so weighed down by the emotional effects of ID theft that they become depressed. Victims can feel like their entire existence now revolves around damage control, while the rest of the world passes them by. Axton Betz-Hamilton of Charleston, Illinois actually shut down her entire life while she tracked down her identity thief. She isolated herself from family and friends while obsessively chasing the criminal. Feelings of depression and isolation are common and, in some cases, can get as severe as victims contemplating suicide. By talking about their experiences, victims have provided our entire society with a window into their silent struggle. Shedding light on the lasting emotional effects of identity theft creates new opportunities for victims to get help. First, victims with access to the internet can easily find and join support groups and networks that specialize in the aftermath of identity theft. Second, professionals in the fields of mental health and social work are now more aware of the emotional effects of this crime, and some have even received specific training to help victims. Finally, friends and family of an ID theft victim can know to look for signs of these emotional effects, and to encourage the victim to talk to someone about their feelings, for as long as they have those feelings.